Corporal Robert Conover Piercy was born on September 29, 1946 in Cincinnati, Ohio to Mr. and Mrs. Alfred Piercy of Milan, Michigan. Robert is a 1966 graduate of Milan High School. He entered the Marine Corps in July of 1969 where he completed his Marine Corps Boot Camp Training at Marine Corps Recruit Depot, San Diego, California. He received his Advanced Infantry Training at Camp Pendleton, California before being stationed at Quantico, Virginia. 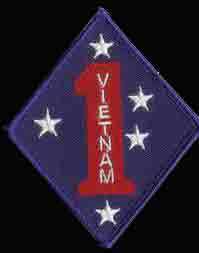 Corporal Piercy began his tour of duty in Thua Thien Province, South Vietnam on September 22, 1967 serving as a rifleman with B Company, 1st Battalion, 5th Marines, 1st Marine Division, III Marine Amphibious Forces. Robert was killed when his unit received heavy small arms automatic weapons fire that struck him on February 7, 1968. Robert Conover Piercy is survived by his father and stepmother. He lived 21 years 4 months and 8 days. He is resting in Marble Park Cemetery in Milan, Michigan. Robert's name is listed on the Vietnam Memorial in Ypsilanti Township under Milan. His name also appears on the Vietnam Memorial in Washington, DC on Panel 38E Line 010. I served with Robert, we called him Percy, he was our Sq. Ldr. On Feb 7th. I was hit and medivaced. It was years later that I found his name on THE WALL. He was verty kind and gentle man who served his county with the ultmiate sacrifice. I will never forget him as long as I live. I'm so very proud to have served with him. - Kent Sonnier - Texas. The above is from thewall-usa.com website link below.